An international team of astronomers has detected helium - the second-most abundant element in the Universe - in the atmosphere of WASP-107b, a giant Neptune-sized exoplanet located about 200 light-years away in the Virgo constellation. 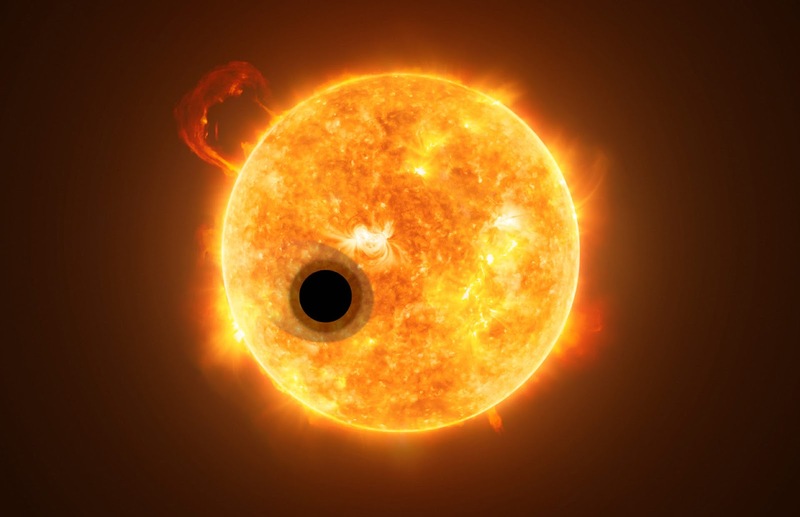 Using the Wide Field Camera 3 instrument on the NASA/ESA Hubble Space Telescope, the research team led by University of Exeter astronomer Jessica Spake discovered this element in the exoplanet. WASP-107b is one of the lowest density planets currently known. Although it is the same size of Jupiter, it has only 12% of Jupiter's mass. “The amount of helium detected in WASP-107b’s atmosphere of is so large that its upper atmosphere must extend tens of thousands of miles out into space,” the astronomers said.